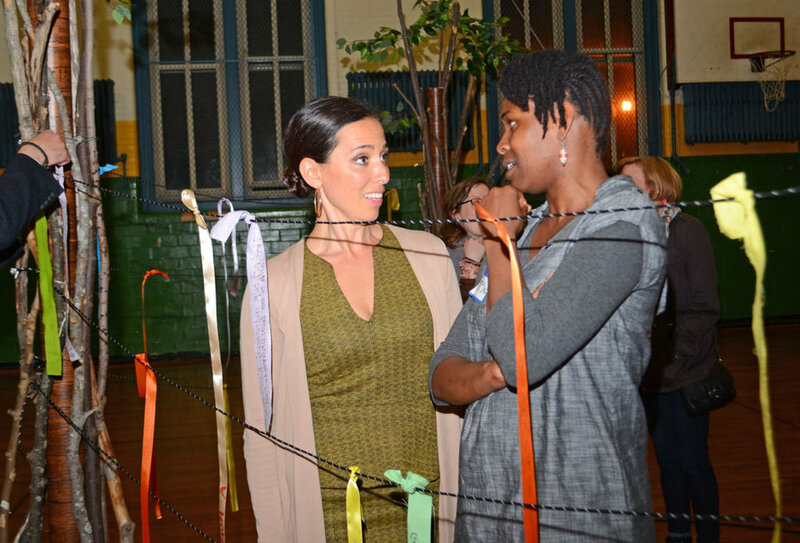 In order to process and heal from the threats and negativity that had emerged since the disastrous outcome of the 2016 presidential election, the Jamaica Plain (MA) Neighborhood Development Corporation (JPNDC) modified the Climate Ribbon ritual to conduct a community building exercise for Jamaica Plain residents at their annual State of Our Neighborhood (SOON) event on April 27, 2017. 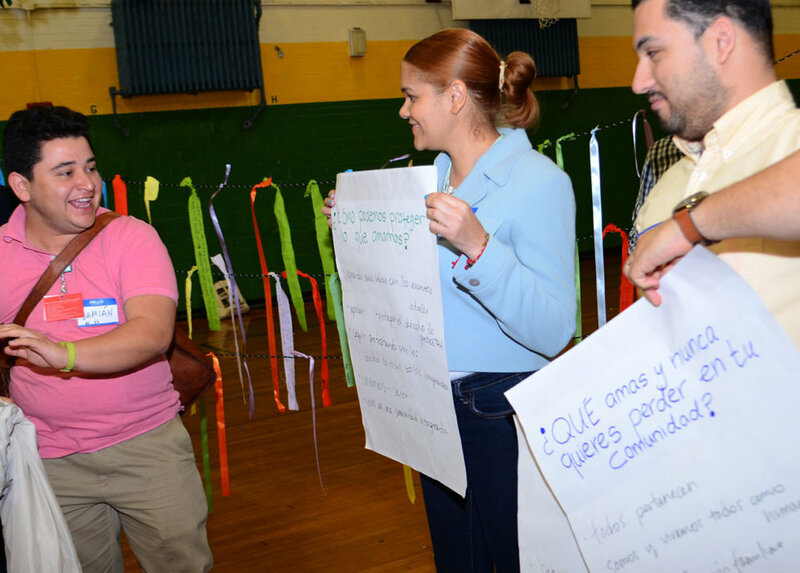 It was a great success, with around 125 community members separating into breakout groups according to five topic areas: Racial Justice, Immigration (two groups, Spanish and English), Housing, Faith and Community Engagement, and Arts and Culture. 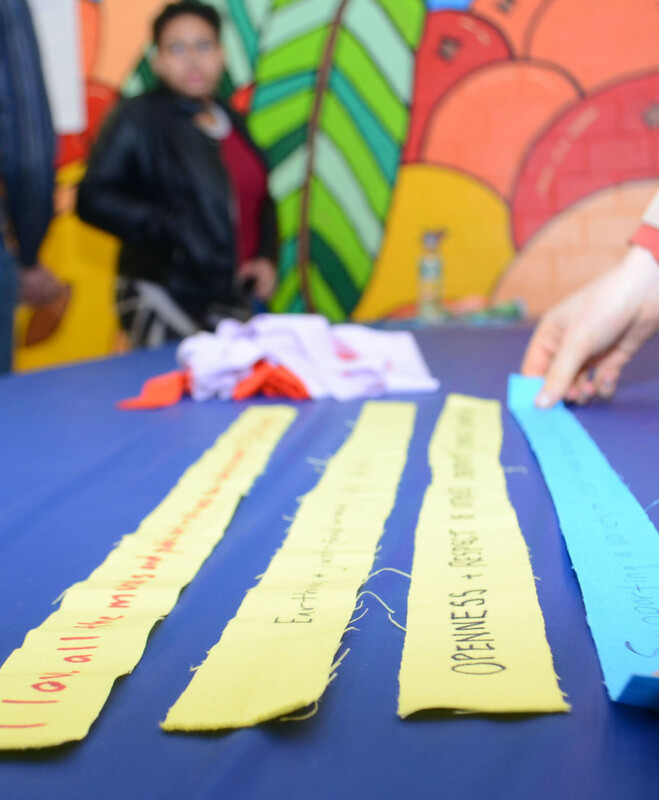 Participants focused on the question, “What do you love and hope to never lose in Jamaica Plain?” They wrote their thoughts on ribbons and, upon returning to the main group, tied them to the Community Climate Ribbon Tree. All of the groups appeared energized and happy with the exercise. 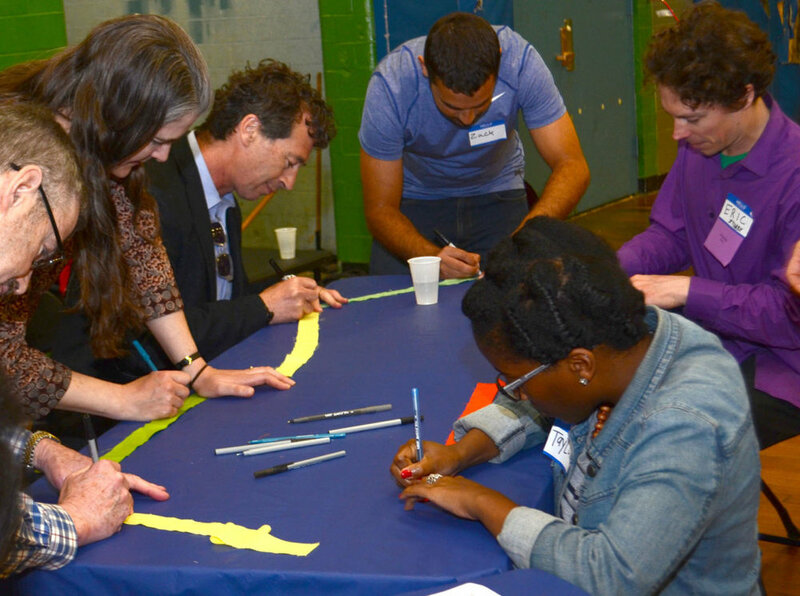 The event was reported by a lot of media including several area newspapers such as the Jamaica Plain Gazette ("The 2017 State of Our Neighborhood: Community Climate" and "Affordable housing, racial justice discussed at State of Our Neighborhood") and the Jamaica Plain News ("2017 JP State of Our Neighborhood to Focus on ‘Community Climate'"), the JPNDC website, and the JPNDC Facebook page. 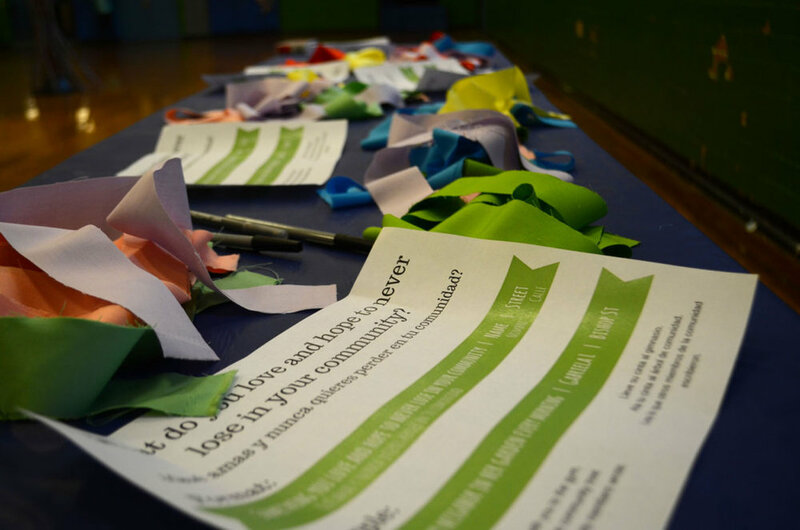 It was a great pleasure working with the JPNDC to make their event a success!